UPDATE: Indianapolis officials have since announced their plans to formally bid for the Amazon project. Read the story here. State officials won’t say if Indianapolis will join the race to house Amazon’s next headquarters. And despite the Hoosier capital’s push to become a tech hub, analysts say the it may face an uphill battle if it opts to bid on the massive project. Amazon opened bidding Thursday on its “HQ2.” The tech giant wants to be able to develop as much 8 million square feet in a North American city with a metro population of at least a million, a trained workforce and myriad other amenities. Indianapolis meets the basic criteria – it has a metro population of nearly 2 million people, and a handful of sites that fit Amazon’s goals. The company wants half a million square feet in existing buildings and 100 acres of greenfield space to start with, plus room to grow and quick access to a major airport and highways. “The disadvantage is going to be the talent pool that they have to draw from,” says Jay Walters of Fishers-based site selection firm Fairwinds Advisors. Amazon wants to hire 50,000 people at the new HQ – including lots of software engineers. Walters says even cities like Toronto and Denver, which plan to bid on the project, may have trouble with that. Walters says “it’s a challenge” for Amazon or any company that wants to recruit lots of recent graduates to do so in Indianapolis. He thinks the city will be a stronger contender for tech growth when the industry and its workers get older, and want somewhere to raise families. Still, Walters thinks it can’t hurt for Indianapolis to throw its hat in the ring for the new Amazon hub. 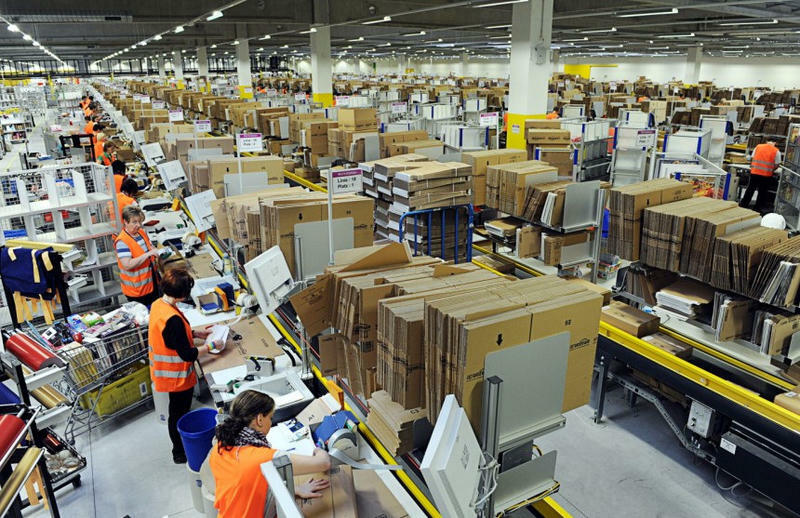 With thousands of Indiana workers already employed in Amazon warehouses, he says a strong bid could get the city or state on short list for future projects. In the coming years, Amazon plans to spend up to $5 billion dollars building out the new headquarters. 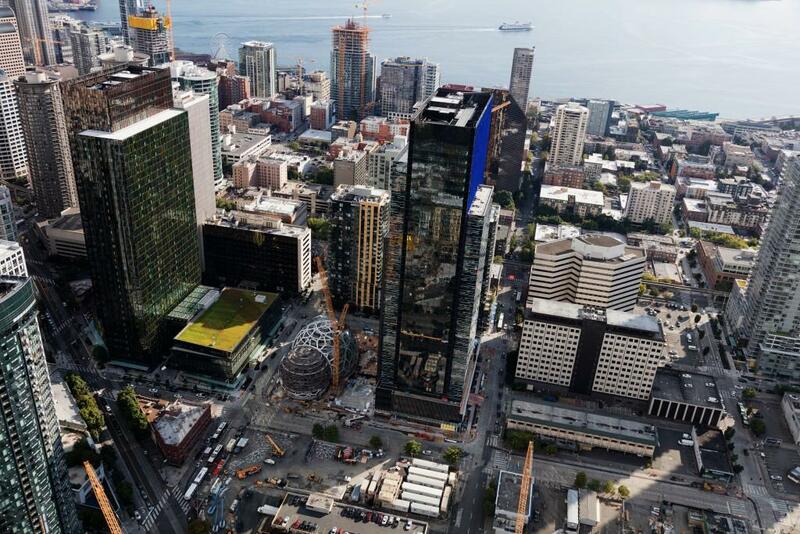 It says its existing HQ, in Seattle, takes up 8.1 million square feet of space, employs more than 40,000 people and contributed $38 billion to the city’s economy between 2010 and 2016. Other cities that say they will bid on the Amazon project include Chicago, Nashville, Kansas City (Missouri), Dallas, Baltimore, Pittsburgh, Philadelphia and Arlington (Virginia), according to Quartz. The deadline for proposals is Oct. 19, and Amazon aims to choose a site in 2018. Indiana’s battle to collect online sales tax from businesses that don’t have a physical presence in the state will more likely play out in Congress than in the courts, says one economist. Indiana does collect sales tax from companies such as Amazon, which has seven distribution centers across five counties. But the state also wants to tax online retailers including Wayfair and Overstock, which don’t – but still earn more than $100,000 a year from Hoosiers. The latest federal employment numbers show jobs growing more quickly in urban areas than rural ones across the country – despite low unemployment across all regions. Seventy percent of job growth from 2016 to 2017 was in places with more than a million residents, according to the Bureau of Labor Statistics. Meanwhile, rural places still struggled to create new jobs and maintain their workforces. In Indiana, data shows 29 counties gaining jobs more slowly than the national rate in the past year, and another 23 losing jobs overall. A new West Lafayette law could extensively regulate private and commercial drone-flying in the city limits. 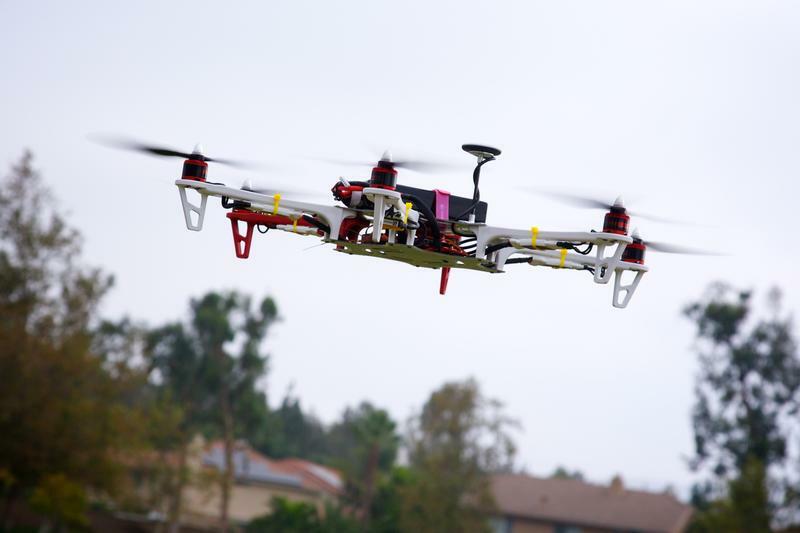 The West Lafayette city council is set to hear an ordinance this evening that places new flight rules on drones, such as keeping the aircraft within the pilot’s line of sight at all times and prohibiting flying more than 50 feet in the air. The online retailer Amazon is looking to hire more than 2,000 Hoosiers for full-time jobs in its warehouses. Amazon spokeswoman Nina Lindsey says the company will host job fairs across the state to find candidates. "We’re looking for candidates that are 18 year of age or older, have a high school degree or equivalent, and for many of these job fairs that we’re hosting throughout the area, they just need to bring a proof of education and a form of identification," Lindsey says. 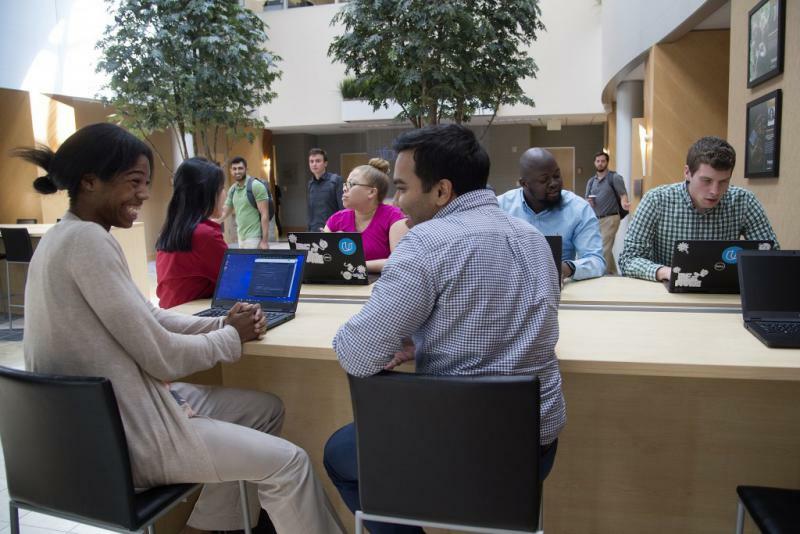 Purdue University will help train thousands of new Infosys employees in Indiana and nationwide. The five-year agreement comes as the technology and consulting company readies a new hub in Indianapolis. For years, Infosys hired mainly visa workers from overseas. 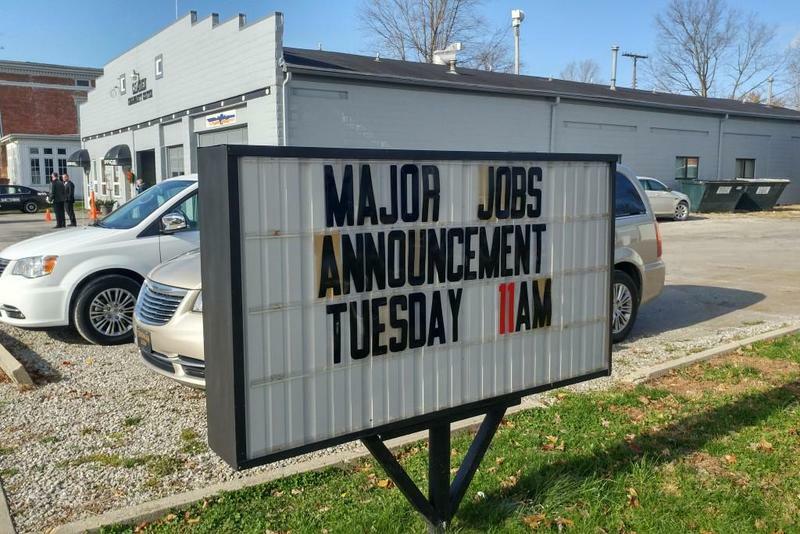 The company said in May it’s shifting course, hiring 10,000 American employees – including 2,000 in Indiana. 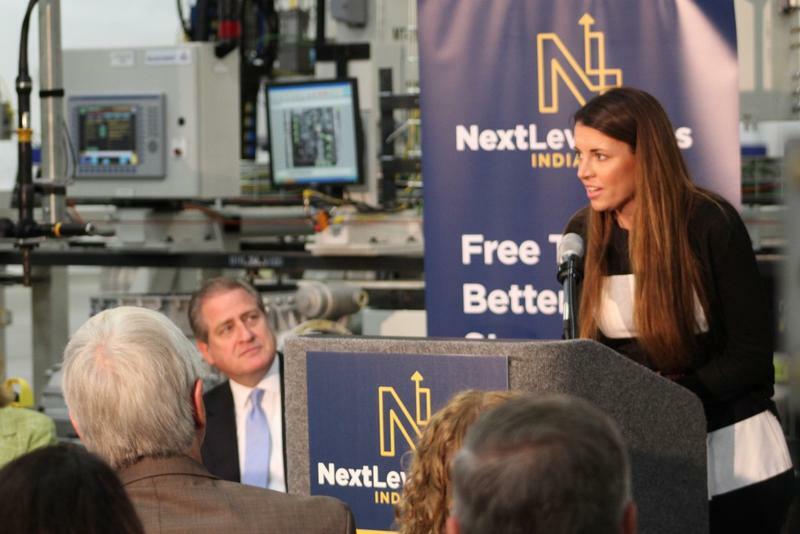 Indiana says it wants to help train train more Hoosier workers for in-demand jobs. Two grant programs will help cover tuition for career certificates and training costs for employers in what the state calls “high-demand” areas. The legislature approved $10 million apiece over two years for the two programs – the Workforce Ready Grant and the Employer Training Grant.